CalCal works with Saltedge to import your transactions from your bank accounts. Then, use our simple drag-and-drop interface to save your figures in CalCal. Saltedge is a trusted integration supplier used by many other accounting programs and facilities. When you give them your bank online login details, they use these to automate the import of your transactions. Depending on the login type (whether you need a PINsentry each time you log in, for example), you can sometimes enable automatic sync each night. You’ll get a notification in CalCal when new transactions have posted to your bank account. The user agreement between you and Saltedge permits them to use your details only to download transaction details, and they’re fully PCI compliant. But of course, it’s up to you who you trust with your bank details. 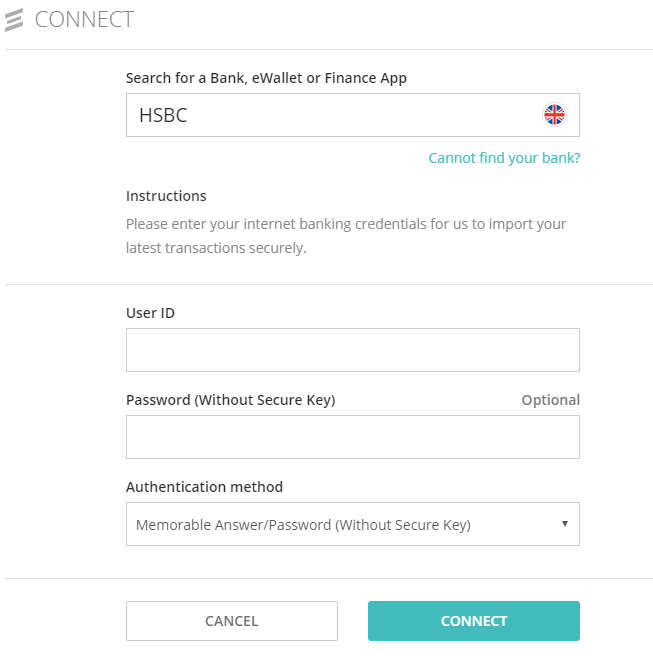 CalCal doesn’t get any access to your login details, only to the transactions imported. 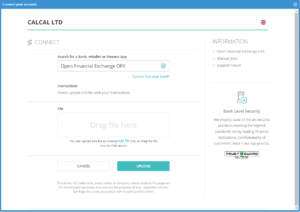 If you can download your transactions in OFX format, you can search for OFX in the “Add Bank Account” screen, and drag the into that window. It will import your transactions in the same way and let you drag them into CalCal in the same way you would a live link.